I'm so honored and excited to be featured in this new book on my favorite topic: GRATITUDE! I got to share my 'rebelicious' enthusiasm for Affirm-itudes of Inspiration: Inspiring thoughts for celebrating your days filled with an attitude of gratitude. Our book hit the bestseller list on Amazon the day it was published! Don't just get one copy, grab several and share them in time for the holidays. 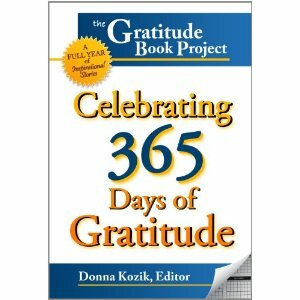 The Gratitude Book Project: Celebrating 365 Days of Gratitude!